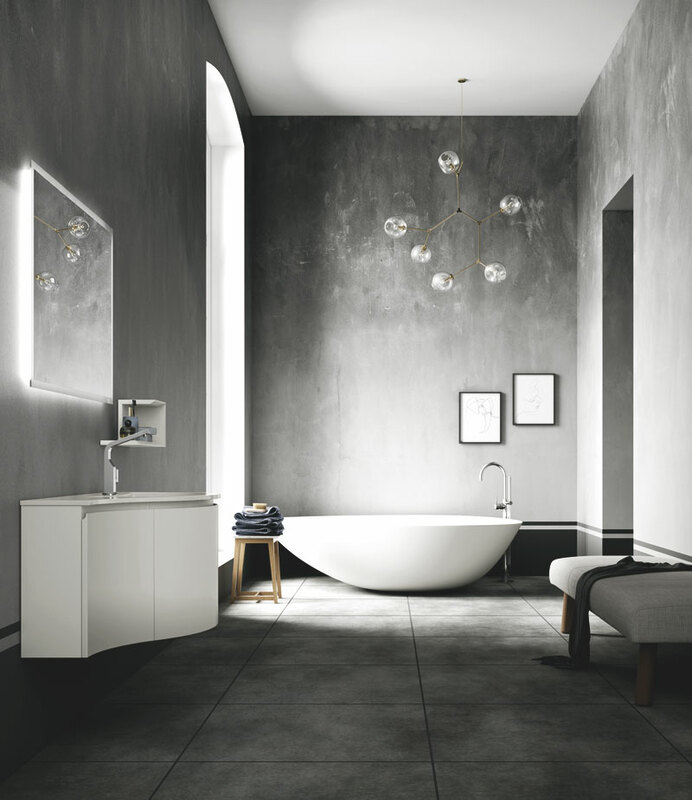 An asymmetrical curvilinear one-piece unit with countertop-mounted tapware teamed with a simple rectangular mirror surrounded by a LED-backlit frame. 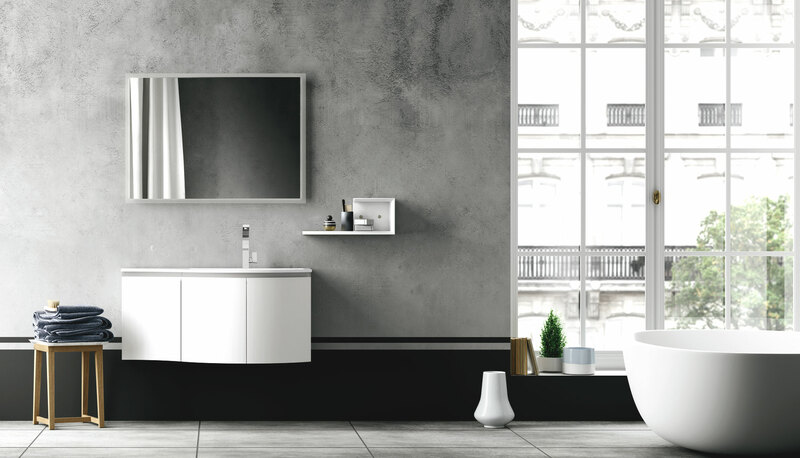 A compact solution with an intelligently shaped vanity making it a convenient choice when space is at a premium, allowing you to exploit space to the full near a door or shower enclosure. 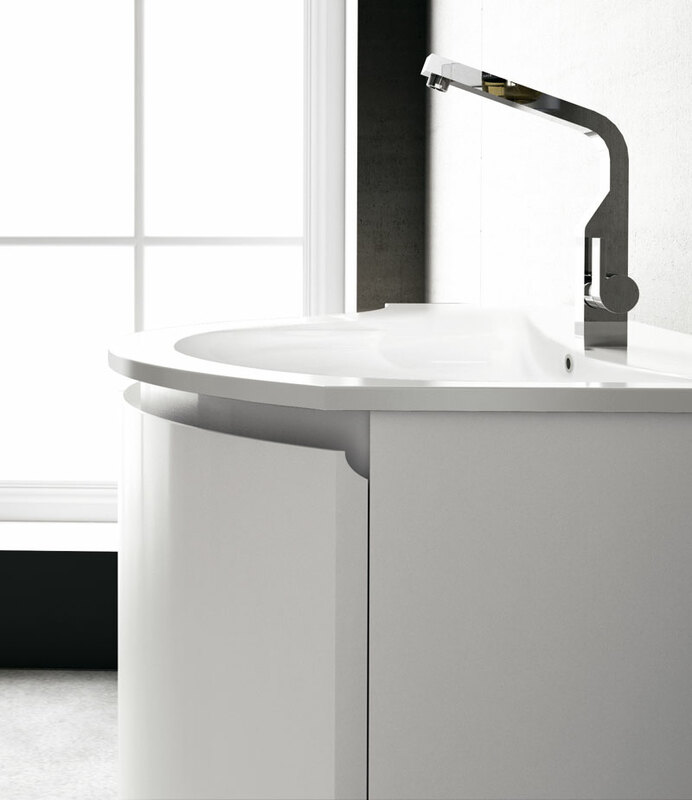 The countertop with integral basin is moulded from glossy MineralMarmo®. The C-shaped shelf sitting beside the unit can be mounted horizontally or vertically and comes in a choice of lacquered or melamine finishes.